If you are a keen follower of the golf equipment world then you will have noticed the increased use of data when talking about the performance of golf clubs. Be it ball speed, launch angle or spin rate, all new equipment releases come with performance claims based on numbers far beyond simply distance. Similarly, visit the range on a practice day of a big golf tournament and you will see several small boxes lined up either behind or parallel to the pros as they hit balls followed by players checking out the data on an array of portable devices. When we spoke to Rory McIlroy about his golf clubs and his swing he was quick to extol the virtues of real time data as an invaluable tool in the modern players' arsenal. So where does this data come from and what are the boxes line up on the range? It comes from a vareity of devices collectively known as Launch Monitors. In simple terms golf Launch Monitors are electronic devices that measure various aspects of what happens when a golf ball is struck by a golf club. Broadly speaking there are two types of launch monitor. One’s that track the ball after impact using Doppler Radar technology and one’s that use Camera technology to record the data at impact. The systems then use the data they record and their own algorithms to provide a range of data measurements and projections about the golf shot that has just been hit. Radar based launch monitors use a scientific principle called the Doppler Effect. The monitor generates microwave signal that is then radiates out of the device. This signal is interfered with by a moving object, in this case the golf ball, that causes some energy to be reflected and a sensor in the unit detects the reflected signal. This is the same technology used widely in the defence industry for uses such as missile tracking. Radar based systems track the flight of the ball and using assumptions project details of the clubhead movements through the software. The leading proponents of radar based launch monitors are Trackman and FlightScope, but the same principles are used in other more affordable solutions such as the Swing Caddie SC100. However you will get what you pay for and the quality of the tracking radar will vary between devices from hundreds to thousands of pounds. Led by the GC2 Smart Camera System from Foresight Sports, these launch monitors use a series of advanced high definition cameras to capture club and ball data at impact and then project the flight and distance performance through the software. The GC2 also offers Head Measurement Technology to run alongside their launch monitor to provide analysis of the club head. Stickes applied to the club head are detected by the cameras and give information such as where on the club face the ball was struck. All of the major launch monitor companies give a large and varied combination of Ball Data and Club Data. In the main, radar based systems measure ball flight data and project club data, whereas camera based systems measure club data and project ball flight data. How Accurate Are Launch Monitors? Modern launch monitors work to a high level of accuracy however there are margins for error. Trackman for example say that they measure the full trajectory of every shot from a 6 foot chip to a 400 yard drive and is accurate to 1 foot over 100 yards. 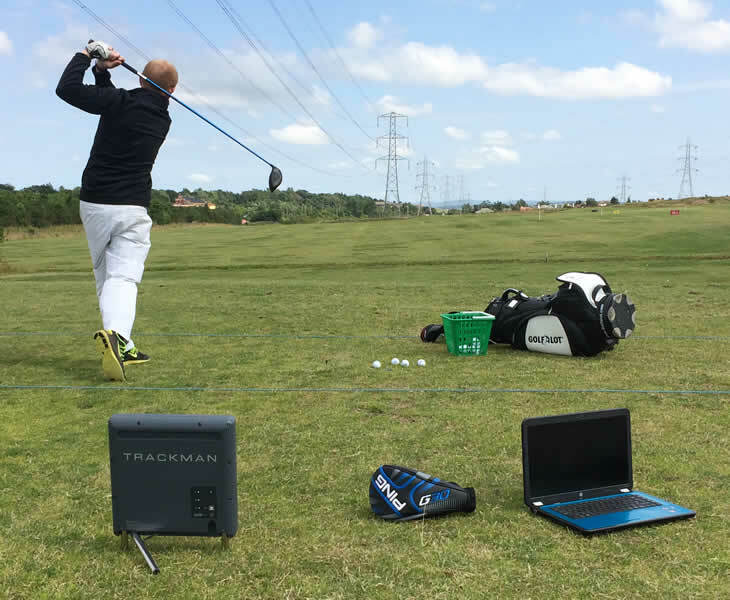 How Can Launch Monitors Help Your Game? All this data may seem useful to club manufacturers or top tour pro's, but can time spent with a launch monitor help your game? We think it can, specifically in the benefits it can give when you are custom fit for golf clubs. The data from launch monitors has allowed specialised custom fitters greater scope to ensure your clubs accurately match your game. By giving detailed access to parameters such as ball speed and launch angle fitters are now able to adjust elements such as the shaft to ensure a players clubs match the characteristics of their swings. From a playing perspective a lesson with a professional who has access to this information and the ability to interpret it will allow you to understand you game at a deeper level and allow you to understand your ball flight and what you can do to control and improve it. The software that runs the launch monitor data is also highly visual and can be run beside video to give you a precise picture of what is happening when you hit the golf ball which can be beneficial when making swing changes. You will also be able to see the data change as your swing improves giving positive feedback that you are on the right track. All of the Launch Monitors mentioned are extremely portable and can be used both inside and out to make your practice sessions more productive. The software provided by the major manufacturers also links in to simulation software to allow you to 'play' many courses around the world and get more enjoyment when you practice. One point to note is that radar based systems are less accurate in an indoor environment, as they are only able to track the small percentage of a ball's flight and therefore have to make more assumptions in their results. Top of the range launch monitors give access to a wealth of data but also come with top end price tags. 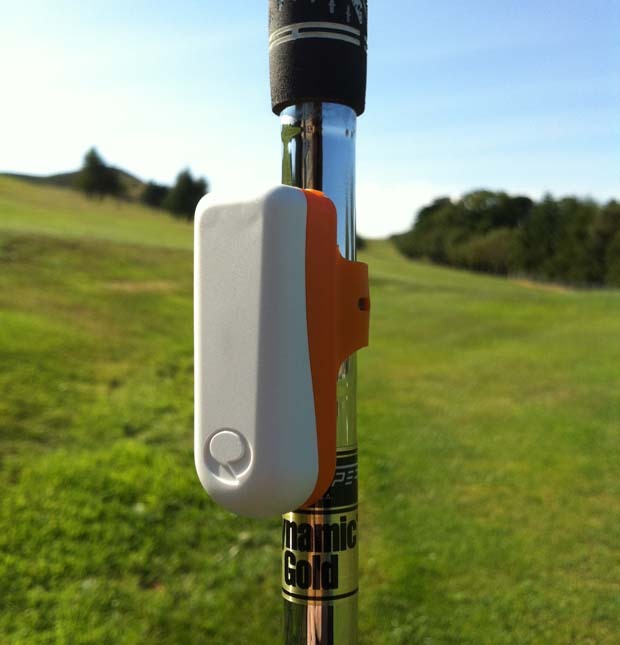 Fortunately there are some alternatives on the market that are more affordable for regular golfers and can give you some of the same data. Devices such as the SkyCaddie SkyPro Swing Analyser use motion and acceleration detectors to record your swing and give you some of the information that you would receive from a launch monitor, such as club head speed, swing path and face angle. The SkyPro system fits to the shaft of your club but you can get similar devices, such as Zepp that fit to the your glove and deliver a similar level of information. As you may understand by now, these devices will have to make projections about the impact and ball flight data as all they are actually measuring is the movement of whatever part of you or your equipment they are attached to. This is really the key thing to userstand about all Launch Monitors. They all measure something and then use those measurements to make projections based on sophiticated software. As long as you are aware of what is being measured and use them as a guide rather than as gospel, then you will find that they are a vaulable addition to helping you become a better golfer.